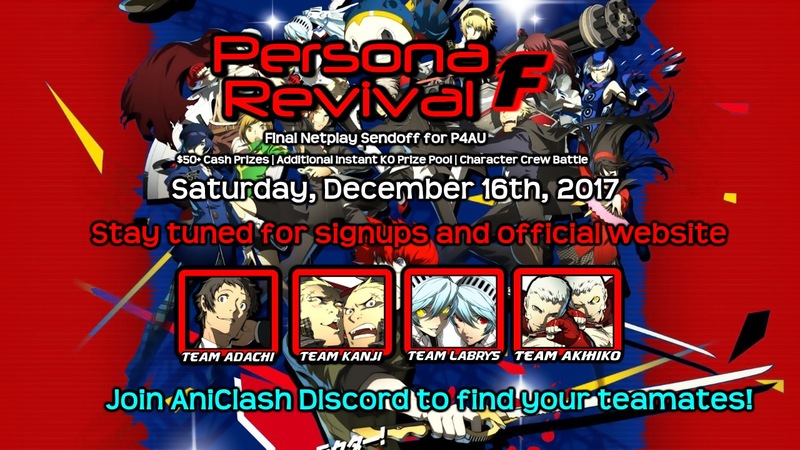 CREW BATTLE INFORMATION - During Sunday's broadcast of Personal Revival 9, an announcement will be made in the stream, and the discord. From this point, official registration for the crew battle will begin. You must post in the respective discord channel (in the AniClash Discord) of the character you wish to play for the crew battle. If you don't make the initial queue of 4, do not fret, will be taking subs in case of no shows during the tournament. Schedule of Events for Personal Revival F can be found on the registration page, of the official Personal Revival F website. 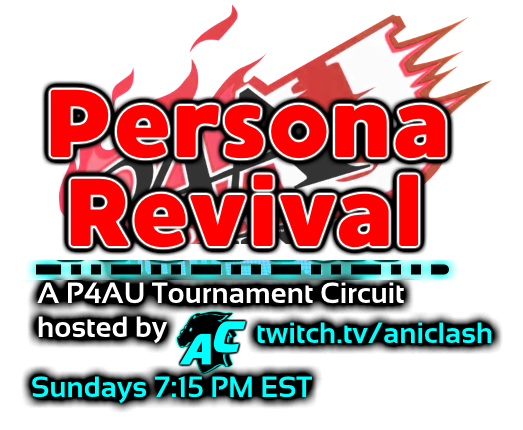 We are hosting a special event for the finale of our Persona Revival circuit. In this event, character teams will go head to head against each other. For example, a team of players using only Yu will go against players using Adachi.